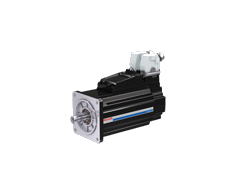 Compact and space-saving, efficient and economical: these values have always made the integrated servo drive IndraDrive Mi impressive in daily operation. The new generation is even more intelligent and thus more flexible, with the result that it can demonstrate its worth in all engineering respects. Additional safety functions, extended communication options, intelligent control functions and an energy-efficient power supply concept, await you along with even more advantages for your individual application. 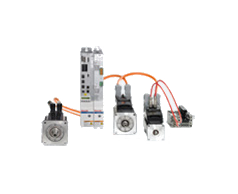 IndraDrive Mi from Rexroth are the cabinet-free servo drives which simplify Connected Industry-compatible automation by means of open communication standards, predefined technology packages and free programming in high-level languages. Open Core Engineering and the integrated interface technology Open Core Interface for Drives also allow direct access to all drive parameters via applications based on high-level languages. The protection of people against uncontrollable machine movements has absolute priority in any application. The integrated safety technology creates effective protection for man and machine without additional open-loop control: certified in accordance with EN ISO 13849-1 for Safe Torque Off and Safe Motion, it saves on hardware and reduces the wiring costs. IndraDrive Mi’s decentralized drive system design allows it to meet the extensive requirements of high economic efficiency. Up to 30 drives can be connected in succession in a chain via a hybrid cable. This allows for a small control cabinet volume, reduces the installation effort and, last but not least, reduces energy consumption for cooling to the necessary minimum. The safety functions – Dynamics "under control"
Whether for machine tools, printing or packaging machines, for assembly, handling or robotic applications: the protection of people against uncontrollable machine movements has absolute priority. IndraDrive redefines the state of technology, for it integrates safety directly into the drive. Thanks to extremely short response times, the integrated servo motor IndraDrive Mi shows what safety technology is really capable of today: the movement is monitored precisely where it is generated. Our mission is to significantly advance communication in automation and to design a wide range of applications in as user-friendly fashion as possible. Multi-protocol-capable hardware plus software significantly increases the flexibility and modularity of machines. There are also seemingly fewer details, such as a single hybrid cable which combines power supply and communication intelligently. With IndraDrive Mi, Rexroth introduces another milestone in drive technology – electronic control system and servo motor combined in one ultra-compact unit. This makes decentralized servo controller IndraDrive Mi the ideal solution for all applications where maximum flexibility and economic efficiency should come along with minimum space requirements. In addition to its compact design, IndraDrive Mi combines the best characteristics of an IndraDrive and MSK servo motor – from the drive-integrated PLC according to IEC 61131-3 up to protection category IP65.